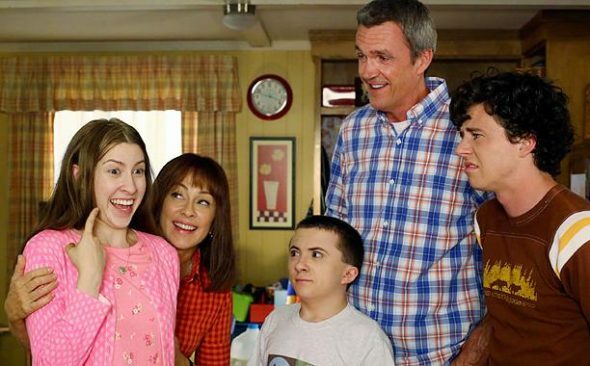 “We may not be perfect, but we did a few things right.” Recently, ABC released a new preview for the upcoming ninth and final season of The Middle. Set in small-town Indiana, the family comedy stars Patricia Heaton, Neil Flynn, Charlie McDermott, Eden Sher, and Atticus Shaffer. The ninth and final season of The Middle premieres on ABC on October 3rd at 8 p.m. ET/PT. What do you think? Do you watch The Middle? Are you looking forward to the final season? How can you look forward to the final season? If it was such a flop or lousy show, how do you know it’s the ninth season? I hate hockey and can’t tell you if it’s season 27 or 87…. Then by all means go watch the weather channel, since quality television is obviously a little too far over your head. Let’s keep the show alive. I love so much the show. I never get boring to watch and I enjoy it so much. This is one of my favorite . Great show, do not cancel!!!! Many stories left to tell as the kids grow up and go out on their own. I’m sad, I love that show… AND is ******** up with letting it go.. I came to the show late, but thoroughly enjoyed it. I watch repeats every chance I get even “dvr”- ing episodes on Hallmark. I enjoy all the characters. They are all relevant and funny and enhance the show. I love this show. It is so real. True real life. It has been refreshing to see this on TV not many of these left anymore. It will be missed greatly. I will miss this show, and it’s characters, so much! Love the show. How about continuing with seasonal specials, Halloween, Thanksgiving, Christmas and June for graduation and weddings. I wanted to see Brick at college, and watch grandma Frankie. Lets work to keep the show alive. Thanks to the cast and crew for creating such a believable show, making it hard to say goodbye. I don’t want to see one of my favorite shows go away! I can relate because the show is about an everyday family trying to survive on lots of love but not much cash. Get rid of Modern Family (no money problems there) and keep The Middle. yes I have thoroughly enjoyed this show and will miss it..